Blueberries need a VERY acid soil - much more so than most plants. Our native red clay is pretty acidic, but needs to be augmented with soil amendments in order to produce anything. We're finally getting lots of berries from two of our three plants, after four years of growth. Takes a bit of time, but they're definitely worth it. Congratulations on your garden - it is addictive and so much fun! I'm doing a square foot garden this year myself. 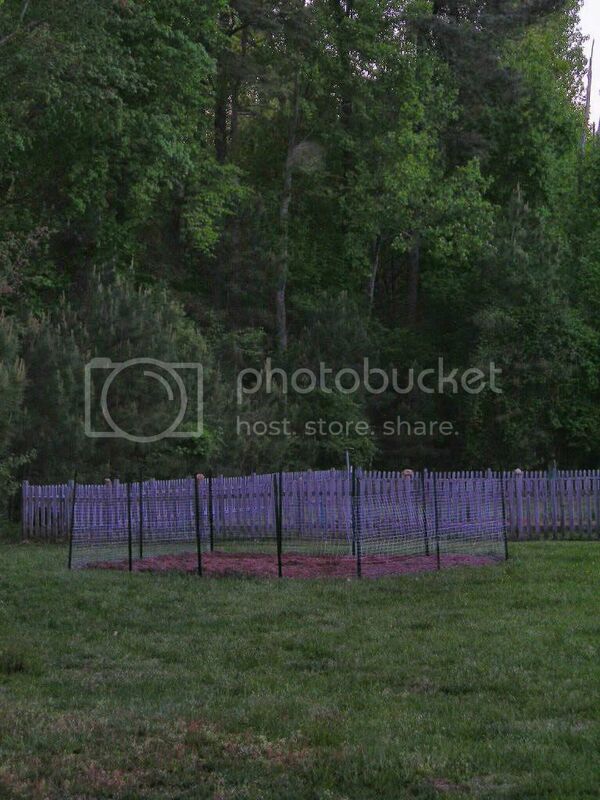 In fact, in doing my research, N. Raleigh Guy's 2009 garden pictures came up which were a great inspiration! Did you know you were famous? Oh, and thanks for the recommendation back in 2009 for Norwood Garden Center - we got a cubic yard of their garden dirt and are very happy. I've wanted to plant blueberries too but I think I've got my hands full this year already. It seems the more research I do, the more I want to plant. I need another raised bed! I started this thread a little less than a month ago and today we are officially fenced in. 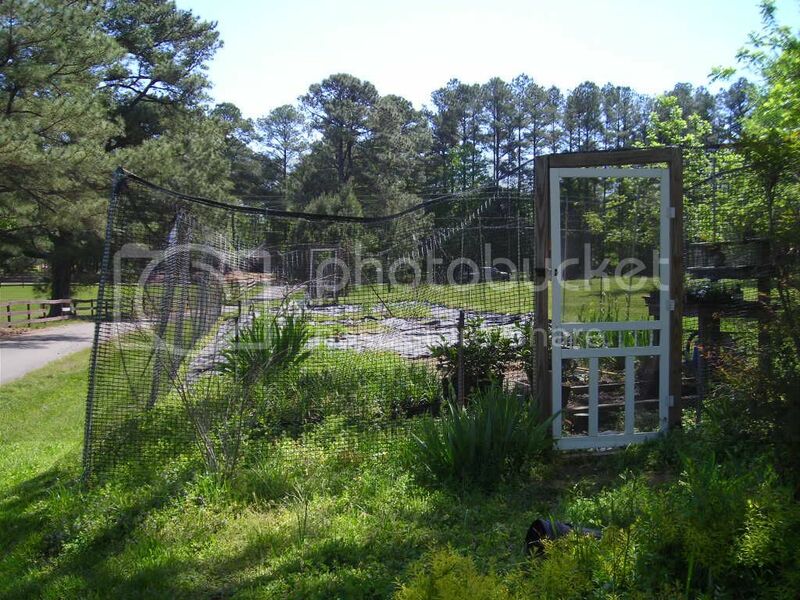 My neighbor and me will got to Lowe's for tomato plants, as well as bell pepper, cucumbers, egg plants, and sunflower seeds and we'll be good to go .. it still needs a door. Will let you all know when the plants are in. Wow, this makes me so glad I planted my blueberry bush outside of my SF garden and in the rocky red clay! I planted it one year ago and got exactly 3 berries from it last year. This year we already have 20-30 little berries coming along. I've heard that berries only grow on the previous year's growth. We have set up a 4X6 raised bed area. Lots of soil and dirt brought in. So far our broccolli is in and lettuce. Looks like they have grown .00025 inch in he last 4 weeks. Started tomatoes and peas in doors and will move them out this coming week. Last year I did a veggie garden and it actually did very well (was the first time). Luckily the deer didn't hop my fence and eat all my veggies! Good luck on your garden! 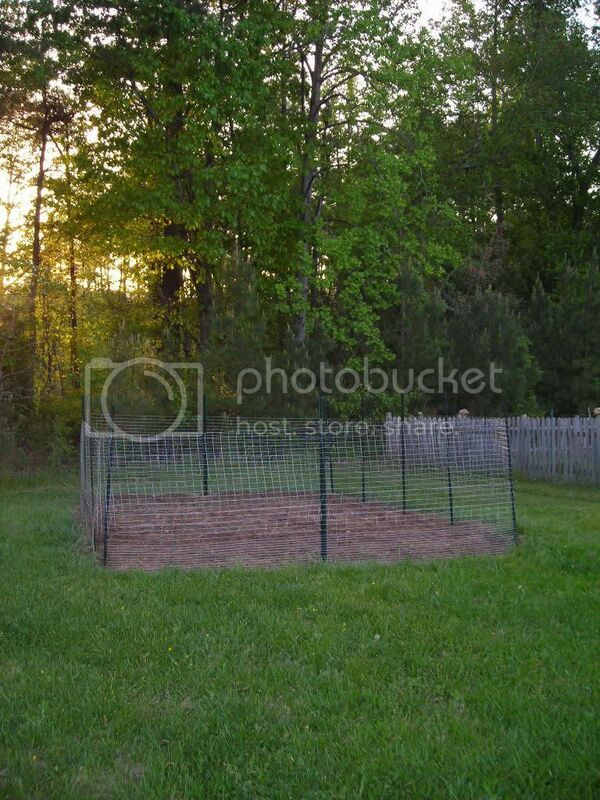 I am ready to plant my first square foot garden today - its a very modest 4 X 4 on our little lot but I am so excited. Yours looks very nice Saluki_lover. I can imagine how excited you must be. We can't have a garden in our subdivision, but last year we planted herbs in two very large containers and were thrilled with the results. This year, we bought more large containers and have planted lettuce, carrots, lots more herbs, radishes, several kinds of spinach, tomatoes, and a few items specifically as host plants for butterflies. We've placed this all on our deck, so it looks "acceptable" and keeps the critters away (and our large dog keeps everything off the deck as well). So far, so good--we've already had some lettuce and spinach to eat and our herbs are growing again like crazy. It's fun to just walk out on the deck and pick some food--the kids think it's "neat" and if that gets them eating more vegetables, I'm all for it! We weren't quite certain how we were going to construct the door to our garden and thought about actual doors (screen door) If you are driving down Six Forks from BJP and just before it turns left onto Possum Track you can see this garden on the right (setback off the street). I took this photo today and it's really well constructed and looks neat. My husband took screen framing and made me a nice removable door but I sure think this is neato.